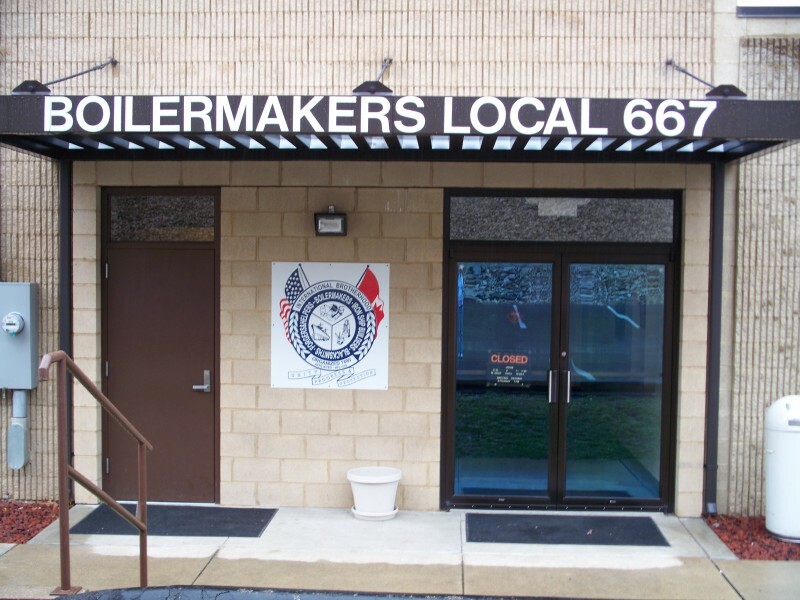 The primary function of Boilermakers 667 is the dispatching of job applicants to the many contractors signatory to our working agreement. The jurisdiction of Local 667 covers all of West Virginia but three (3) Counties plus we have jurisdiction in three Counties in the State of Ohio. This gives us a wide range of employment opportunities. We currently have over 725 active members who live all over the US. Most of the employment of boilermakers consists of maintenance and repair of coal fired boilers that are used to generate electric power throughout the United States. A large part of the maintenance and repair of these boilers are worked overtime so the units can get back to producing electricity. The boilermaker work is seasonal with maintenance work being performed when the demand for electricity is down. A boilermaker must be physically able to perform many duties since 80% or more of our work consists of the erection and repair of coal fired boilers and other related equipment. The balance of our employment opportunities come from other sources of metal work associated with the construction industry. Both mechanics and welders will at times be required to perform the physical tasks of fitting up materials to be welded as well as working with cranes and hoists while rigging the materials and equipment in place. Most of the work is done well above ground level which does on many occasions require the use of scaffolding or other safety equipment. To satisfactorily perform these duties, an employee must be reasonably healthy and agile since he may be required to work in small confined areas which normally necessitates a lot of body movement. Our working agreement outlines the scope of work that Journeyman boilermakers and blacksmiths may be required to perform. This list includes, (as taken from the Ohio Valley Articles of Agreement) burning, riveting, chipping, caulking, rigging, fitting up, grinding, reaming, impact machine operating, unloading heavy loads, and such other work that comes under the trade jurisdiction of the boilermakers and blacksmiths. The use of overhead welding is also utilized. Most work requires the use of a respirator which requires one to be clean shaven. All boilermakers must be drug free, all the work is done in drug free work zones. A contractor may request a random drug screening at any time. Due to the nature and location of the boilermaker work there is never anything considered light duty work.